Large capacity, easy to use May be too large for tiny kitchens - ideal for everywhere else though. The main selling points of the Sharp R371SLM are that it features a large capacity, and high power output, as well as very well labelled controls. 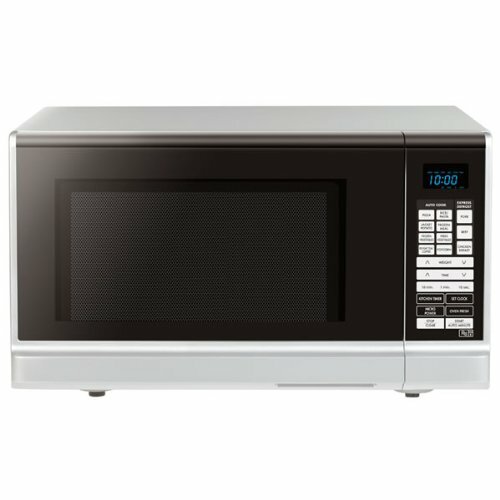 Overall capacity of this silver microwave is a claimed 25 litres, and the power is 900w, divided up into 5 different power levels. The buttons are touch based, and the blue LED digital display is very clear, even in bright sunlight. The Sharp timing system goes up to a maximum of 99 minutes, which should suit the majority of users. A handy child lock facility is built in to the Sharp R371SLM to help avoid accidents, and overall construction impressed our testers. The interior features a removable 27cm turntable which should accommodate most large plates and containers. Overall the R371SLM impressed our testers, both in terms of it's construction and it's performance. 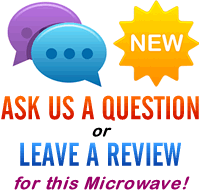 It seemed to be reliable, worked well, looked smart, and we wouldn't hesitate to recommend it to our readers. The Sharp R371SLM is extremely spacious, with a larger than average 25 litre capacity, and a high powered 900w output. If you need a cost effective large and powerful solo microwave then the R371SLM is worth buying.